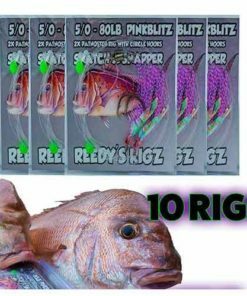 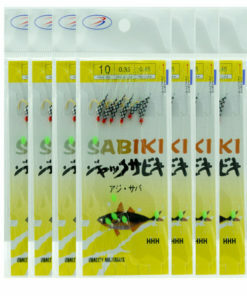 Terminal Tackle Such as Ultra Rigflasher rigs & snell Pre Made Fishing rigs Cheap Online Stock Up Lures Bait Suicide Circle Hooks Flasher Rigs at great Prices. 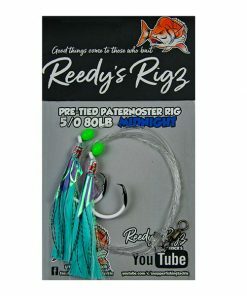 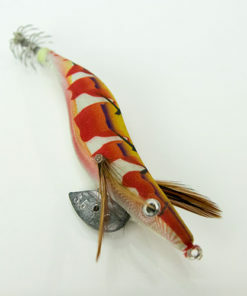 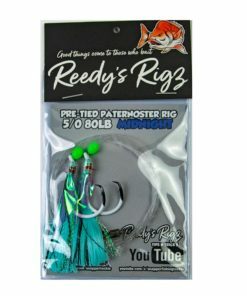 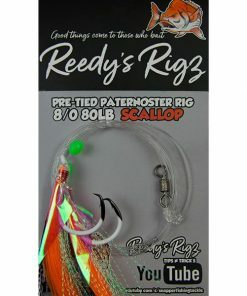 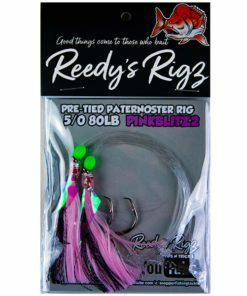 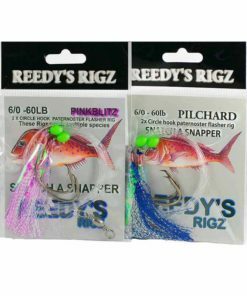 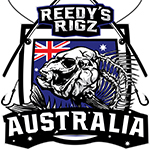 Shop Online For Lures Jig Whiting Reedy’s Rigz offers Many Types of bottom Fishing Lures & Rigs. 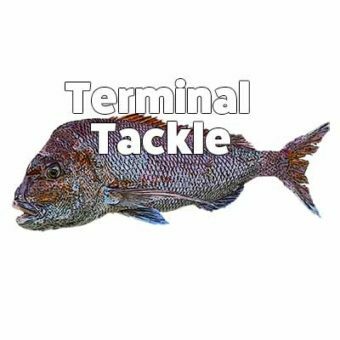 Terminal Tackle Whiting Snapper Gar Mulloway Surf Boat & beach Fishing. 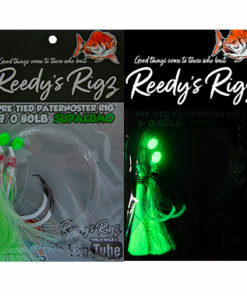 Universal Tied Gear. 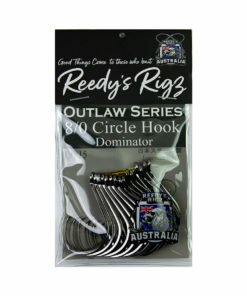 Target many Fish offshore & inshore, Great for reef & sand Piers & jettys. 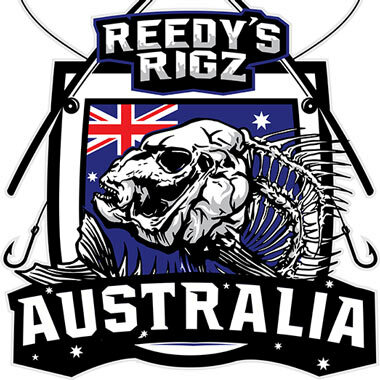 Same Day Free Shipping Australia Wide Shop Online With Reedy's Rigz. 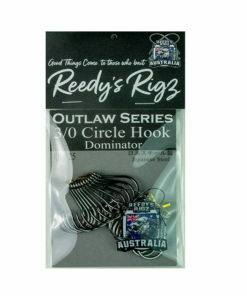 The Rigs are Hand tied On a Paternoster with a dropper & circle hooks. 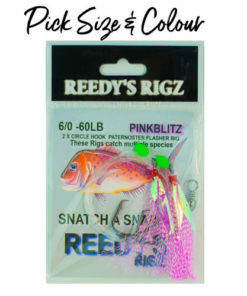 Tie your Flasher rig onto your main line add Some bait to the hook & your fishing its that simple . 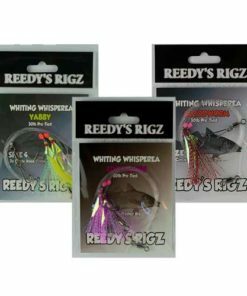 Hook Sizes Starting From #4 (whiting Hook ) through to 7/0 Rig. 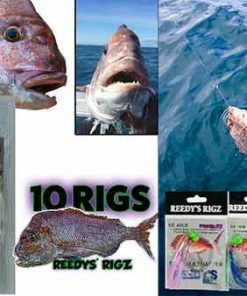 Leader is fluorocarbon or mono various sizes 15lb / 30lb / 50lb / 60/b /80lb For snapper We recommend a 5/0 on 60lb for a Flasher Rig 50lb for snell Hooks running rig.